Going to the dentist can be nerve-wracking, let alone when they say you need sealants. What even are those? You’ve never heard that word in your life and medical jargon is always intimidating. But you are in luck. Dental sealants are a preventative measure, not a reparative one; which means there’s nothing wrong with your pearly whites. What are they? Sealants are a thin protective coating usually made from plastic or dental materials. Since teeth, especially molars, which are predominantly used for chewing, have tiny grooves and uneven surfaces, it is easy for food to get stuck in those tiny spaces. Trapped food on or against the teeth has acids that create holes in the surface, and these holes are called cavities. Instead, sealants are applied to the teeth, especially the back ones, and they act as a protective coating so that food doesn’t get trapped and you stay cavity free. How are they applied? The sealant itself sounds painless, but surely you’re thinking: how do they put them on my teeth? Rest assured, the process is painless as well. The dentist or hygienist will start by thoroughly cleaning the teeth. Next, a cotton or absorbent material will be placed in the mouth to keep the teeth dry. After that, an acid solution (still painless) is applied to the teeth to toughen them up. This helps the sealant adhere to the teeth. Then, the teeth are rinsed and dried. Finally, the sealant is painted directly onto the tooth, where it bonds immediately and hardens. So the worst you have to endure is a little dry mouth. But worth it right? You may feel like you have a new pair of dentures on at first since your teeth will feel thicker, but it’s no cause for concern. Who can get sealants? Per your dentist’s recommendation, anyone can get sealants, but the earlier the better. 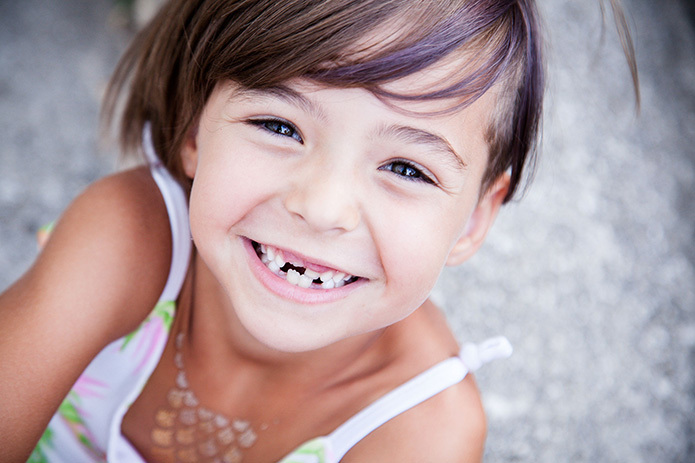 Sealants are especially preferred on kids because the first molars grow around age 6, and the second set age 12. Sealants last up to 10 years. That means if you protect the teeth right away, you stay cavity free, and you spend less money in the long run. Does insurance cover them? Yes. Most insurance companies cover sealants for those under the age of 18. If you are over 18, the best thing to do is to call your insurance provider and verify. Bottom line: sealants are painless, and you just learned a new word, so there’s no need to stress. The pros far outweigh the cons, especially since there are next to none. The pros of sealants include: protects against cavities, easy to apply, pain-free, long-lasting, and saves you money. The cons are: an allergy could exist (which is rare), and they do contain BPA as a result of saliva interacting with BPA – free compounds. But you get more exposure to BPA from touching a receipt or using cosmetics, so well say it, you’re good. The only other disadvantage; not knowing about them sooner so you could protect those teeth! Our goal at Sedki Dentistry Commerce MI is to help you and your family achieve and maintain good dental health for a lifetime. A healthy mouth yields a beautiful smile and overall health. We are a complete family dental clinic that offers services for all dental health concerns. Dr. Sedki and his experienced staff are professional and committed to providing uncompromised care to their patients. Call Sedki Dentistry today and get started on a healthy, beautiful smile!